Pardon me while I dive right into this pile of awesome. Like, literally…I just want to dive right in. In recent weeks, I’ve become a bit obsessed with shredded buffalo chicken…and the 782 recipes that you can use it in. Like these nachos. Or enchiladas. Or wraps. Or on top of pizza. The shredded chicken part is silly easy…chicken plus buffalo wing sauce plus Ranch dressing packet. Mix it all up in the slow cooker and let slow cook the day away. With these nachos, let the chicken slow cook the day away, then shred it into the sauce and spoon onto the nachos! For the full flavor effect, don’t skip the crumbled blue cheese and chopped celery garnish. Set on low and cook for 8 hours. Once the chicken is cooked, shred with 2 forks and combine with the sauce. 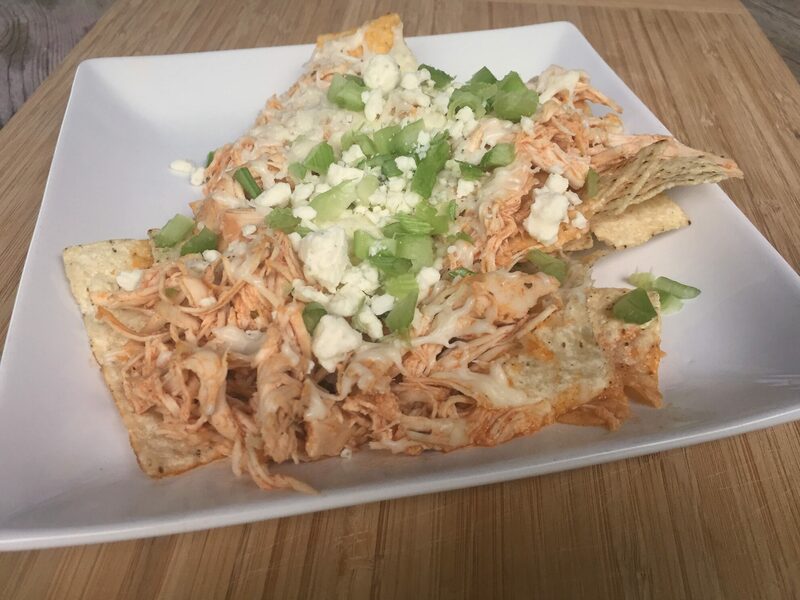 Assemble the nachos on baking sheet with tortilla chips, shredded buffalo chicken and shredded mozzarella cheese on top. Bake in the preheated oven for 10-15 minutes, or until cheese has melted. 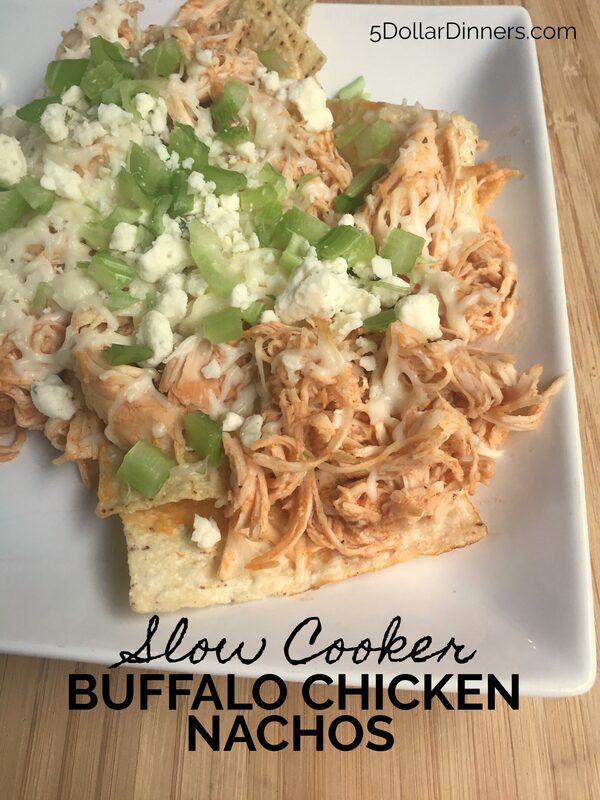 Serve Buffalo Chicken Nachos with crumbled blue cheese and chopped celery garnish, and side of fruit. Can you use any hot sauce or does it have to be buffalo wing? I have a lot of Cholula bottles!